Can we Keep Kumkum in between eyebrows? No, we should not keep Kumkum in between eyebrows. 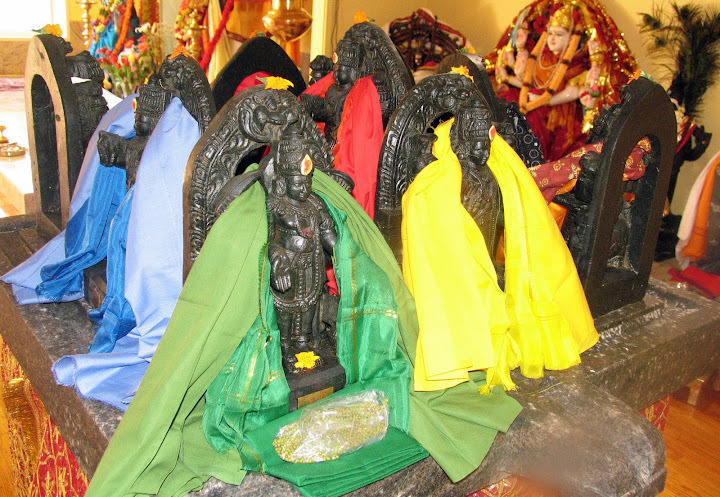 Pradakshina and Apa-pradakshina for Navagraha? First, we have to do 7 Pradakshinas meaning circumambulation, consists of walking around in a 'circle' as a form of worship from left to right. Then we have to do 2 Apa-pradakshina i.e doing the above in reverse direction. In total we have offer 09 pradakshinas. The motion of Rahu and Ketu is always opposite to that of the other planets. Hence we have to do 2 pradakshina in opposite directions. While pradakshina chant "Namah Suryaya Chandraya Mangalaya Budhaya cha. Guru Shukra Shanibhyascha Rahave Ketave Namaha" mantra. Offer 11 pradakshinas (circumambulation) to Audambara Mara – the Athi tree – Ficus indica early morning for good education. If possible study under this tree. Why we should not kumkum in between eyebrows ? You should keep above eyebrows for good results. It is not good for husband's if women keep it in between eyebrows. It will lead to small small issues.